hazardous waste management company with a permitted Non RCRA facility in West Sacramento. Our dedicated team is able to provide a range of waste management services including sampling, categorizing, packaging and transporting of your RCRA and Non RCRA hazardous waste. In addition to our standard waste management services we also provide EMERGENCY RESPONSE SERVICES, 24 hours a day, 7 days a week. 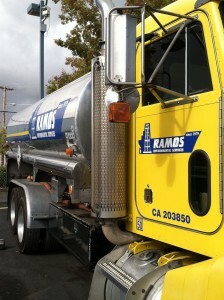 RAMOS ENVIRONMENTAL SERVICES maintains a fleet of trucks including vacuum, pump, flatbed, box vans, and roll off trucks to insure we can provide the widest and most complete waste management services for our customers.